Online Sales on webshop www.fzplus.hr is done by Zgombic & Partners Publishing and IT Ltd, Trnjanska 63 , 10000 Zagreb, Croatia. The company is registered in the Commercial Court in Zagreb with a share capital of 20,000.00 HRK. Personal identification number (OIB) of the company is : 14520775642. These conditions are determined for ordering , payment, delivery and product complaints that are offered on this site . Webshop Zgombic & Partners Publishing and IT Ltd can be used for your personal use at no charge for use, according to the following terms and conditions. Seller is Zgombic & Partners Publishing and IT Ltd, a customer is a visitor of this site, which fill the electronic order, send the seller and make payment via credit card, bank transfer or cash on delivery. Zgombic & Partners Publishing and IT Ltd reserves the right to modify these terms and conditions. Any changes will apply to the use of websites fzplus.hr . Buyer is responsible for the accuracy and completeness of the information upon purchase. Services offered by fzplus.hr webshop do not include the costs incurred by using computer equipment and services to access our site . Zgombic & Partners Publishing and IT Ltd is not responsible for the cost of telephone, Internet traffic or any other expenses that may occur. Although Zgombic & Partners Publishing and IT Ltd strives to provide the best possible service, Zgombic & Partners Publishing and IT Ltd can not guarantee that the services will suit your needs. 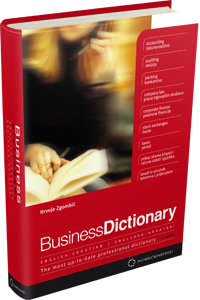 Zgombic & Partners Publishing and IT Ltd also can not guarantee that the service will be error-free. If there is an error, please report it so we can remove it as quickly as possible. The customer orders a product or products via electronic order form. Buyer is any person who ordered at least one product, fill in the required information and submit order. All prices are in Croatian national currency, the Croatian kuna (HRK), including VAT if it has. The goods are ordered electronically, by clicking on a particular product and placing it in the cart. Goods are considered to be ordered when the customer chooses and confirm payment. If we find a buyer at an increased risk of default. In all these and similar cases, after we found irregularities, we will immediately notify you by phone or e-mail about a possible deviation from the contract on our part. You can cancel an order or change its details free of charge, if your goods are not yet shipped from the warehouse. The goods are delivered from stock (Croatia anticipate within four working days). In the case of subscriptions deliver the goods immediately upon receipt at the warehouse, which is listed next to the product and what we will notify you upon the receipt of orders. Ordered products are packaged in such a way that during normal handling are not damaged. When receiving the buyer is obliged to check the status of shipments and in the event of damage immediately notify a reseller. Seller disclaims all liability in respect of defects which may occur during shipping. If buyer does not receive the goods, or a notice of delivery, after it has been sent, the expected time, the Buyer shall be entitled to notify the seller in order to undertake the actions of finding items or to send a replacement shipment. If the buyer refuses to accept the goods ordered Seller has the right to seek compensation from the customer for all costs related to delivery. Seller agrees to send the consignment to the Buyer at the moment the receipt of a certificate authorizing online transactions. Upon receipt and confirmation Seller agrees to send the shipment within a five (5) working days. Once the Deliverer (the company making the delivery) receives the shipment by the reseller, the reseller is not responsible for the further course delivery and possible delays and problems that may arise regarding further manipulation and delivery of goods. As a customer, you have the right to withdraw from the purchase and inform us by e - mail fzonline@fzplus.hr , phone (01) 7980 440 or Zgombic & Partners Publishing and IT Ltd, Trnjanska 63, 10000 Zagreb, within 15 days of receipt goods. This can not be right to waive in advance. Notice is valid only if it is sent within. Received goods must be returned to us intact and unchanged amount within 15 days after you notify us of the cancellation of purchase. Returning goods received within 15 days, consider also by your notice of withdrawal from the purchase . We need to return goods in the same condition as it was at the time of delivery, at the following address: Zgombic & Partners Publishing and IT Ltd, Trnjanska 63, 10000 Zagreb, Croatia. Complaints should consist of your name, surname, address and email address for a reply. We will answer your complaint in writing within 15 days after receiving the complaint. Your contact information, e - mail, telephone and cell phone and address, will be used solely for the purposes of verification and delivery of your order and for the purpose of informing you as our customer about special offers, benefits and changes in the functioning of the webshop. For the purposes of information used newsletter, SMS notifications and information via telephone. While conducting payments on our web shop you are using CorvusPay  an advanced system for secure acceptance of credit cards on the Internet. All information collected by Corvus Info is considered a banking secret and treated accordingly. The information is used exclusively for the purposes for which they were intended. Your sensitive data is fully secure and its privacy is guaranteed by the state of the art safeguard mechanisms. We collect only the data necessary for performing the work in accordance with the demanding prescribed procedures for online payment. All rights are reserved by publisher. Buyer agrees not to illegally copy, perform, used for radio broadcasting and sell products seller or any part thereof. As a customer you are entitled to all the rights under the Consumer Protection Act. Orders will be accepted in English or Croatian language.